Hail and well met, weary internet traveller. Rest ye a while and hear this epic tale of a man by the name of ‘Sam Starborn’ and his encounter with destiny! 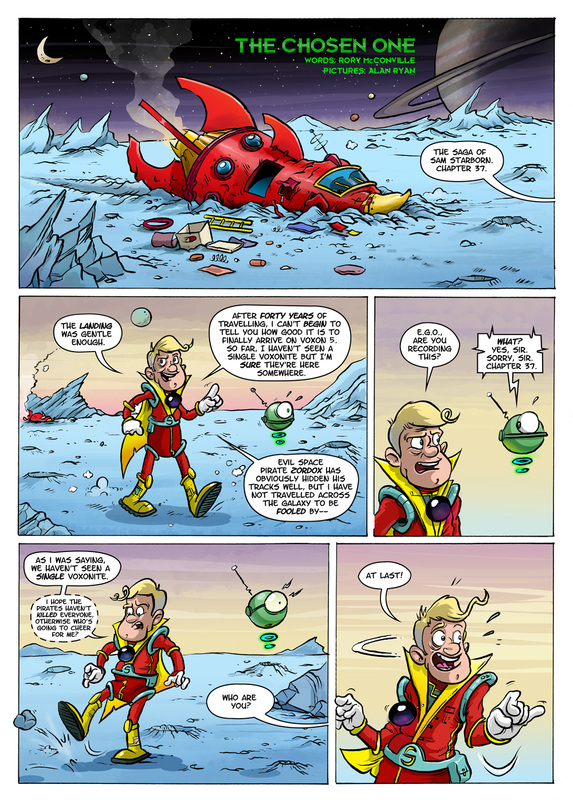 This is a sci-fi tale from the mind of Rory McConville (Big Jim, Adventure Time comics, DC) with my good self on art duties & I’ll be serialising it on the site here over the next few weeks. This entry was posted on Saturday, January 31st, 2015 at 9:59 pm and is filed under Comics. You can follow any responses to this entry through the RSS 2.0 feed. You can skip to the end and leave a response. Pinging is currently not allowed. I don’t know how I’ve been missing this series… but prepare to be binge read.